In Global Adventures players find themselves as new members of the THA (Treasure Hunter’s Association) and will embark on an epic adventure around the world. Free to play the game is a feature filled traditional MMORPG with crafting, PVP arena combat, PVE, Boss battles and much more. Life is about to get a whole lot more interesting as one of the Treasure Hunter’s Association’s newest recruits. As you journey across the globe in search of treasures you’ll soon discover more than you planned as the mysterious of our own history reveal a great secret. From Cairo to Paris, along the way you’ll battle against all manner of ancient creatures of mythology, and also many dark organizations looking to stop you. Let your adventure begin! A fairly traditional MMORPG players create a character from various available classes and seek out PVE oriented content across the world. As players complete missions and defeat both enemies and huge bosses, they’ll grow stronger and unlock new abilities to take on greater content. PVE content ranges from standard world mob enemies fought whilst traveling, to greater Super Bosses, “Secret” dungeon instances, and a Monster Factory. In the Monster Factory players battle through 100s of floors facing ever increasing difficult monsters and earn great rewards in the process. 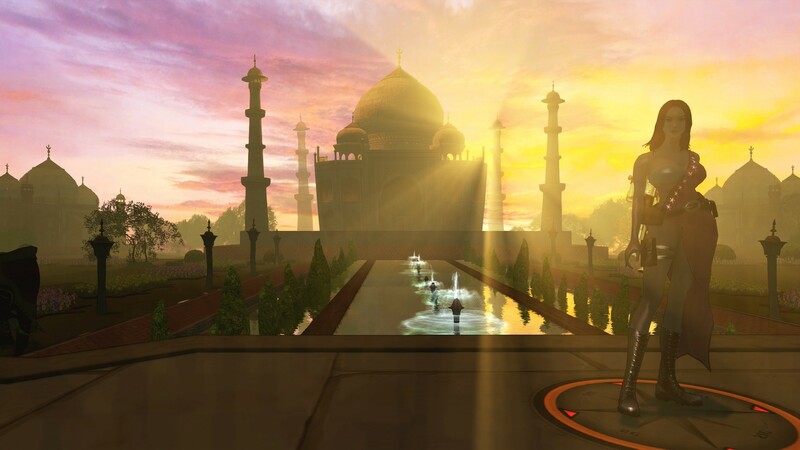 PVP focuses primarily on the Avatar Arena based combat with regulated PVP systems to balance the levels of participants to create a more equal battle. Fight across multiple arena locations and earn rewards in the process. Alternatively players can challenge each other in Castle battles, building a castle structure and its defences and trying to take out their opponents in raids to try and acquire useful resources. The game offers five playable classes [only the details of three have been revealed when this profile was written]: Biotechnician, Demolitionist, Shock Trooper, Shaman and Guardian. Each class can be customized in various ways from new skills unlocked to creating and augmenting the various weapons they have available to them. The developers are committed to building a fair and balanced game, focusing on “fair-to-play” as opposed to “pay-to-win”. With this in mind they have stated that no gameplay advantages will be available for purchase using real money, and that in the game skill will dominated over microtransactions.